I think Leipzig is one of those great cities that is usually experienced as an after-thought or out of convenience. It's not on most people's Germany tours or itineraries, but that doesn't mean it doesn't have amazing things to offer! 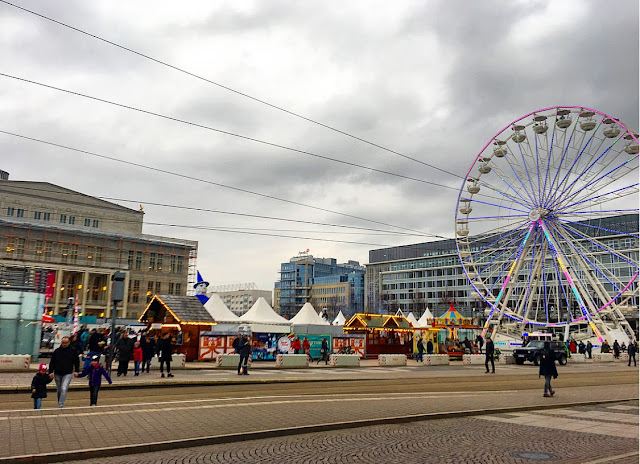 My husband and I spent a drizzly March day in Leipzig, and I know for sure that it's also a fabulous Christmas market to come to in December. I was thrilled to find a "Winter Market" in Augustusplatz (basically a Christmas market...not at Christmas! ), and we had delicious meals while learning a lot of history. Ready for The Leipzig-Zag?! Let's go! 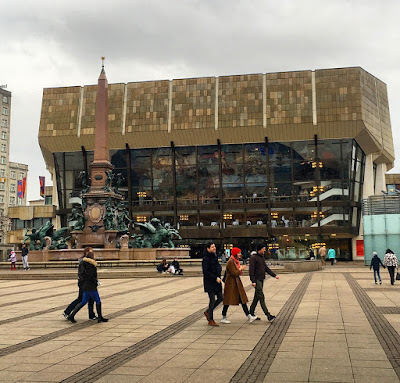 We chose to start our tour of Leipzig in the southern part of the city. 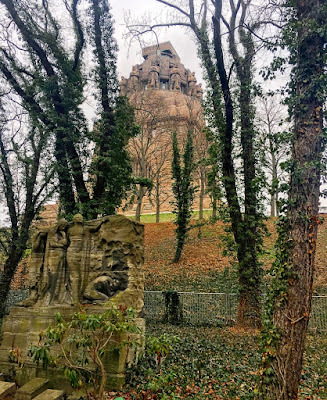 The massive Monument to the Battle of the Nations is in a large cemetery and a tribute to the battle when Napoleon was defeated by an alliance of countries in Leipzig. It's impressive from every angle, and worth the while to take a stroll around the huge green space. Retro and interesting Hotel Seeblick was our selection for lunch, but our other great option would have been the Bayerischer Bahnhof Gasthaus & Gosebrauerei, a restaurant in a former train station. Seeblick serves breakfast basically all day, and has one of those menus with so many incredible options that you don't want to just pick one. Most of the breakfast plates are themed by country, so the international cuisine with a German twist was very creative and fun to decide between! 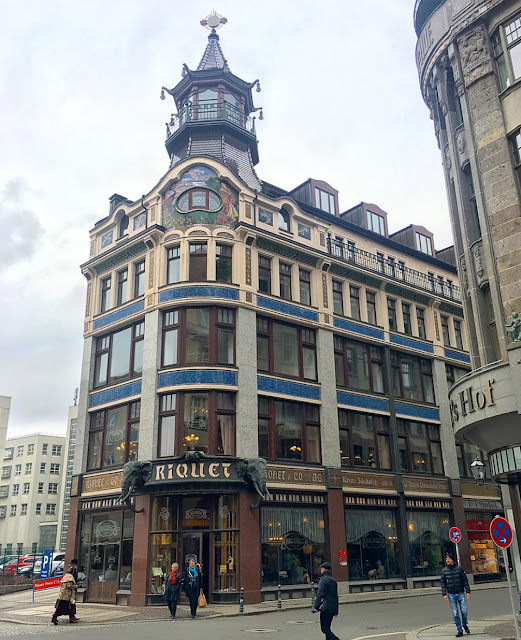 Leipzig is a city full of musical history as well. Between Schumann, Wagner, Handel, Mendelssohn, and Bach, there is more than enough classical composition to go around! 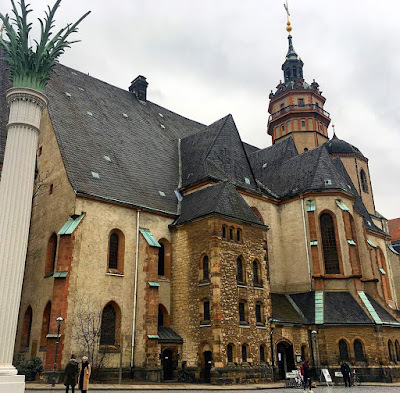 The Schumann-Haus, Richard-Wagner-Stiftung Leipzig, Händel-Denkmal (monument to Handel), Mendelssohn-Haus, and St. Thomas Church next to the Bach-Museum, are all recognizing some of the greatest composers of all time. If you're not necessarily a classical music buff, pick one or two and enjoy learning a bit about their lives and how they were able to create such masterpieces. 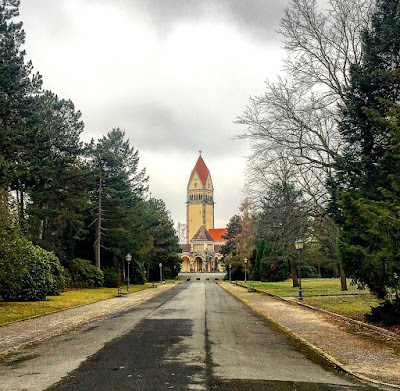 We did not have enough time to go into any of the museums or former homes, but none of them are very expensive, and will be highly appreciated by music lovers, of course! While you're near the Bach-Museum area, head across the street for a quiet moment at the Holocaust Memorial. 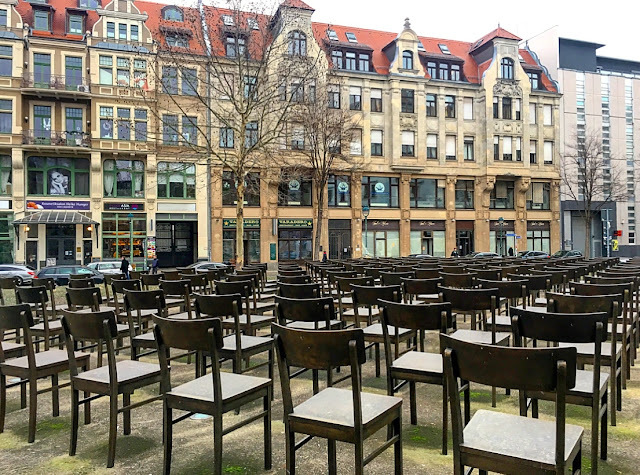 This silent plaza is filled with empty chairs, dedicated to the former Jewish synagogue and population of Leipzig. It is usually not very busy, so you can really reflect on human history - both our potential for catastrophe and for making things better. 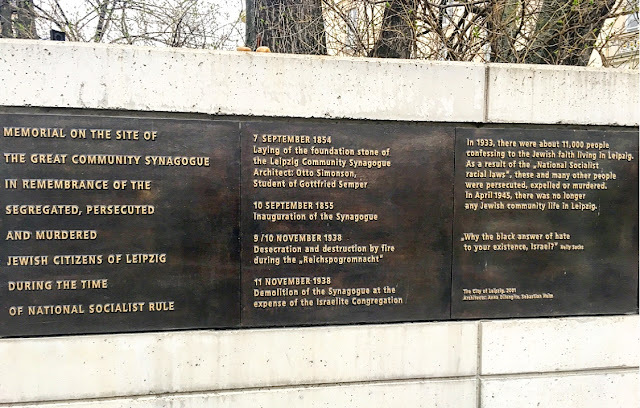 You can read in the monument text the timeline of events, and how life ended up transpiring for the German Jews of Leipzig in the 1930s and 1940s. There are so many memorials to both world wars and to the Holocaust all over Europe, but each is very unique to its location and remembrance that makes it worthwhile to be a part of remembering what really happened during these tragedies. 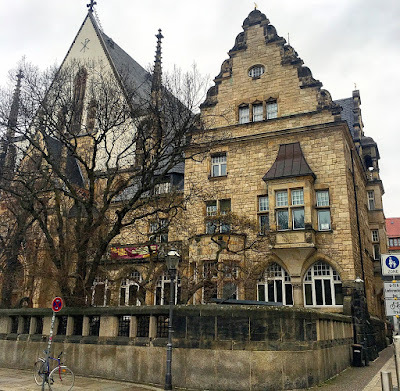 Now we made our way back toward the central part of the old city that is Marktplatz Leipzig, full of locals, tourists, shoppers, and buzzing with movement. 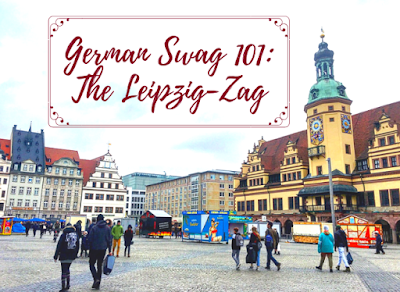 Here you can access nearly every direction of Leipzig and find anything you need! 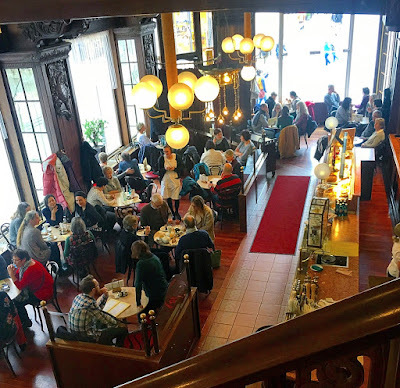 We finished our day with a calm visit to the stately St. Nicholas Church, and spent an hour of our afternoon in the beautiful Art Nouveau cafe Kaffeehaus Riquet. The cafe is rich in design on the outside, and is very much in the fashion of a Viennese coffee house on the inside. It was nicely affordable for a great landmark cafe, and the service was top-notch. I love anything Art Nouveau, and then when you toss in a hot chocolate with some cake, there is no stopping me! I could have stayed there much longer than an hour, but we enjoyed our snacks and then headed back to the Winter Market at Augustusplatz near where our car was parked. 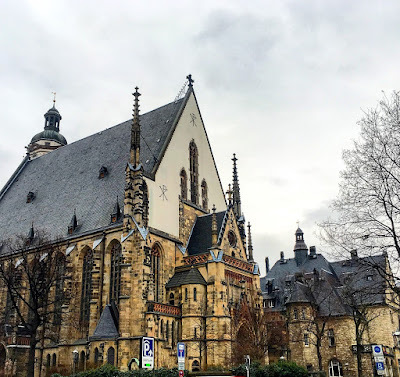 Leipzig is a beautiful city with great historical buildings mixed with modern structures. We hope you can stay here longer than a day, and we hope to return someday during the Christmas season! Do the Leipzig-Zag on iOS & Android.